Everyone age 2 and older needs a ticket. One ticket is included in your initial registration. Add guest registrations for every other ticket that you are purchasing. Since Thomas left the station 65 years ago, this Really Useful Engine and his Island of Sodor friends have chugged their way into the hearts of preschoolers and grownups worldwide. Based on The Railway Series of classic stories authored by a father for his son, Thomas & Friends™ is a rite of passage that inspires the imagination while teaching positive life lessons of friendship, discovery and cooperation. 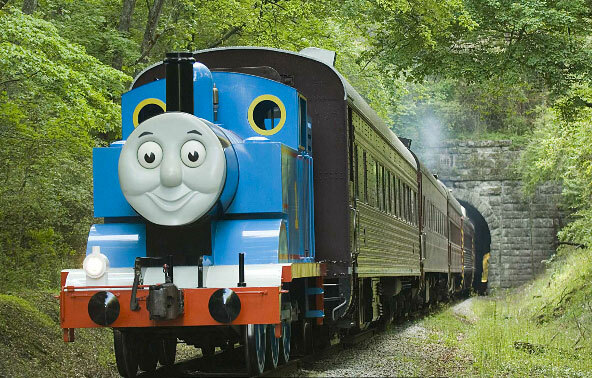 Through Day Out With Thomas™, parents, grandparents and siblings will join preschoolers on this journey. The experience will engineer miles of smiles for the whole family and introduce a new generation to railroading. 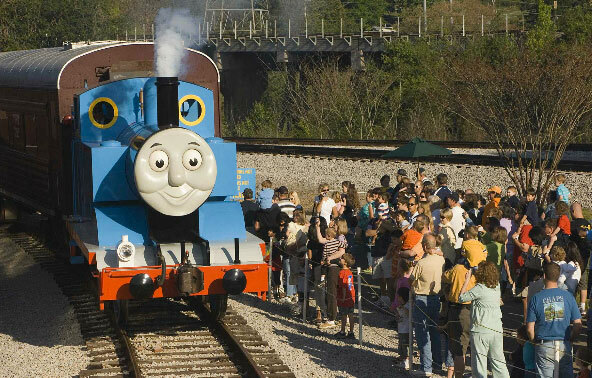 There are a lot of great activities in addition to the fun-filled train ride through Cuyahoga Valley National Park. Enjoy meeting Sir Topham Hatt, view the model train display, live music, a magician, Imagination Station, video viewing and storytelling, a gift tent, food sold by Boston Mills and SO MUCH MORE! Your kids won't want to leave! FREE parking at the ski resort, with shuttle service to the entry tent all day long. $12 a ticket for everyone age 2 and older (this includes adults). (ALECPTA Member Price)*ALECPTA is subsidizing $2 a ticket. Due to the popularity of this event, PAYMENT IS DUE IMMEDIATELY. If signing up through this site and payment is not provided immediately through paypal, your registration will be canceled.